Keen Koala: Egyptian Walking Onions - The Strange And Incredible Wonder Onion! Egyptian Walking Onions - The Strange And Incredible Wonder Onion! Have you heard of Egyptian Walking Onions? Despite their name, they actually don't come from Egypt but instead from Canada. They are a perennial green onion the used to be very popular but their popularity waned in the 80's, and now they are harder to find. 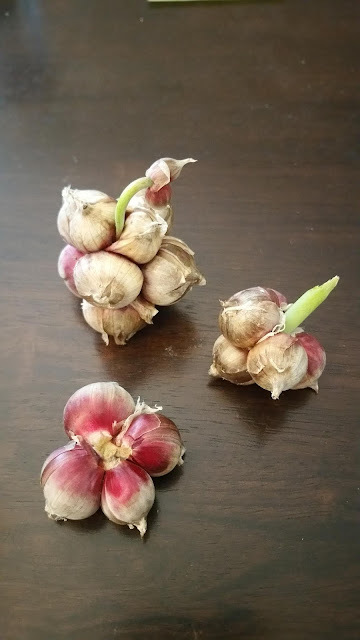 I call them an onion with super powers because at the top of the green onion grow bulbils that look like tiny onions which self plant and literally walk across your garden. Hence the name walking onions. Onion bulbils just removed from the green onion plant with a green onion and smaller bulbils growing off of it. Another reason these onions are garden super heroes is because they are a multi use onion. You can grow them perennially and eat the green onion as well as some of the bulbils, leaving some to self seed. You can also plant bulbils in the fall in rows and then harvest the entire plant the following fall to consume the onion bulb that grows below the ground. These onions are amazing because they are hardy from zones 3-9, which is the majority of locations. The green onions are flavorful and subtle when small and get more robust as they grow taller. The bulbils are amazing and a great replacement for shallots in cooking. Walking onion bulbils ready to be planted or eaten. The underground onion bulb is also flavorful and great to use in any meal that calls for onions. This plant is awesome because it's so versatile. It's literally an onion one-stop-shop. They can be grown in huge garden rows or in tiny corner of a smaller garden too. Now that I've sung high praises, you probably want to get your hands on some of these onions. 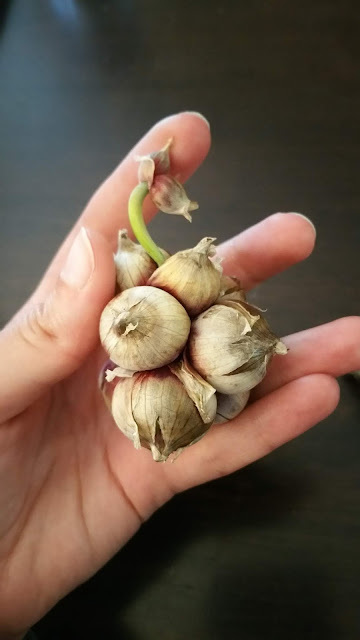 You might have luck on a garden swap page, but if all else fails, there are some awesome gardeners on Amazon that sell their bulbils HERE (Amazon Affiliate Link). 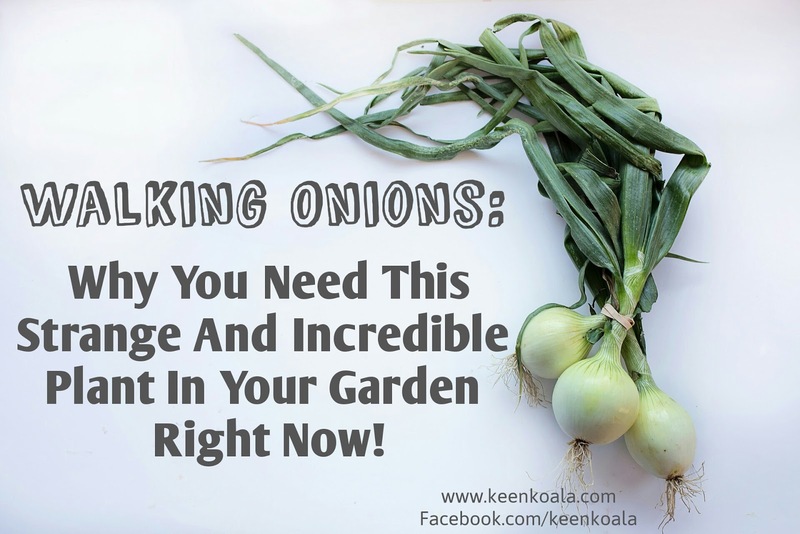 If you need some help with planting your walking onions or have any other walking onion related questions, just Like us on Facebook and send us a message HERE.